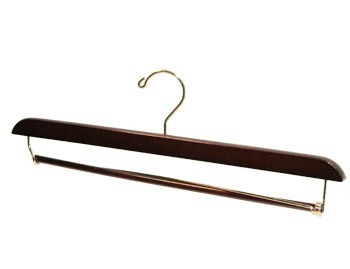 Padded Clothes Hangers: Luxury Satin Clothing Hanger for Lingerie & Dresses. Ladies' clothing made from delicate fabrics such as silk, lace and satin requires appropriate storage. That is why the finest women's clothing shops, as well as international designers of lingerie, blouses and dresses, rely on padded clothing hangers to protect easily damaged fabric from snags. At the Hanger Store, we offer individuals and businesses our line of high-quality, satin-padded hangers. 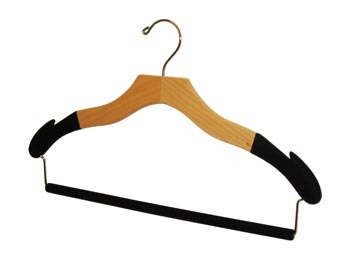 Tufted and thickly padded, we make these hangers from the highest quality materials. They feature superior craftsmanship and fully functional design. 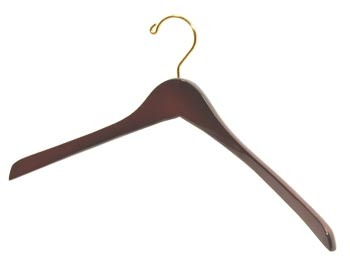 If you're ready to pamper your clothing and extend its life, consider purchasing our deluxe women's satin hangers. 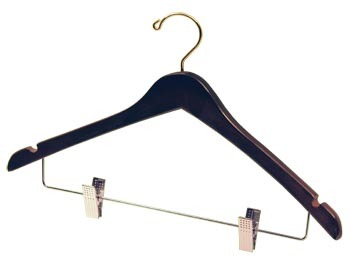 Because our specialty is custom hanger production, we have developed state-of-the-art manufacturing facilities structured to accommodate the efficient production of virtually any padded garment hanger design. 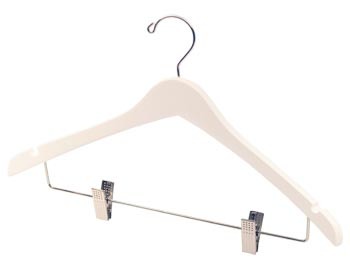 We cover our padded hangers for ladies' tops in ivory-white satin flock and pad them with white cotton batting. They are 15" long. 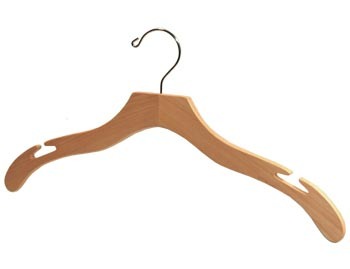 We can ship them in boxes of 20, 50 or 100 hangers. For custom padded hanger orders, the minimum quantity is 5,000 hangers per order. 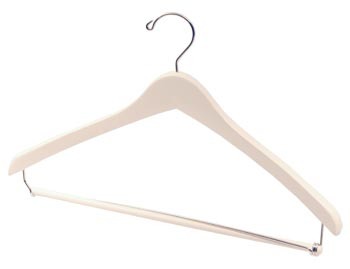 If you are interested in learning more about our stock or custom padded hangers and discussing how the Hanger Store can help you, please call 800-229-4151 to speak with an experienced representative about your needs. You may also complete our online contact form to receive more information.